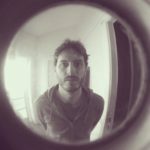 How to re-shape the connection between a big harbour (company) and it’s villagers in a visual and active way? 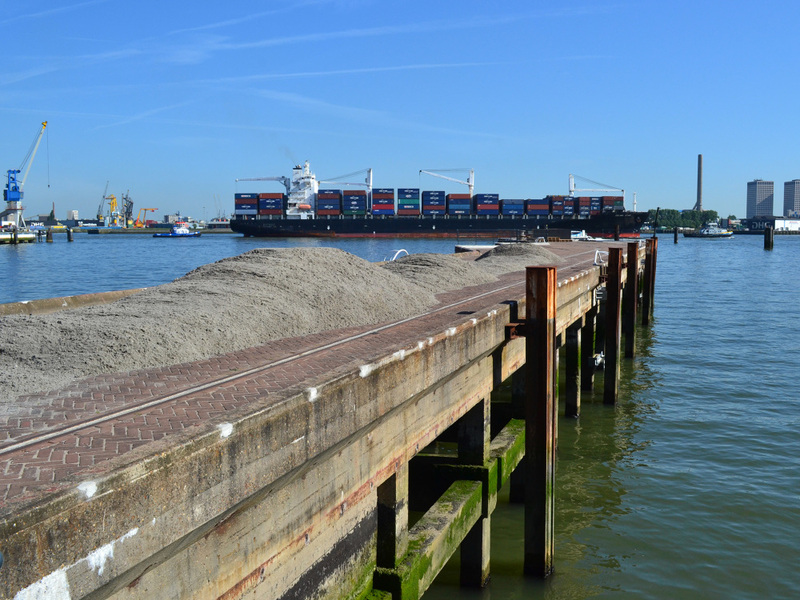 RDM (Rotterdam Droogdok Maatschappij) is a drydock company located in a remote area in the harbour of Rotterdam. The isolated location made the firm built its own village Heijplaat (back in 1914) in order to provide housing for its employees. My project ”Samenspel” is set in, and focuses on, this very specific area. Since the RDM was experiencing a crisis during the 90’s, many people from the Heijplaat lost their jobs. The village is in a phase of transition since this very moment. It doesn’t seem to be functioning as it was once meant to be. Many recreational activities and former functional spots of the area shut down, houses got progressively empty. The harbor area is connected to the city through a ferry service. However, it remains difficult to reach, and it is experienced by outsiders being too far away from the city centre. 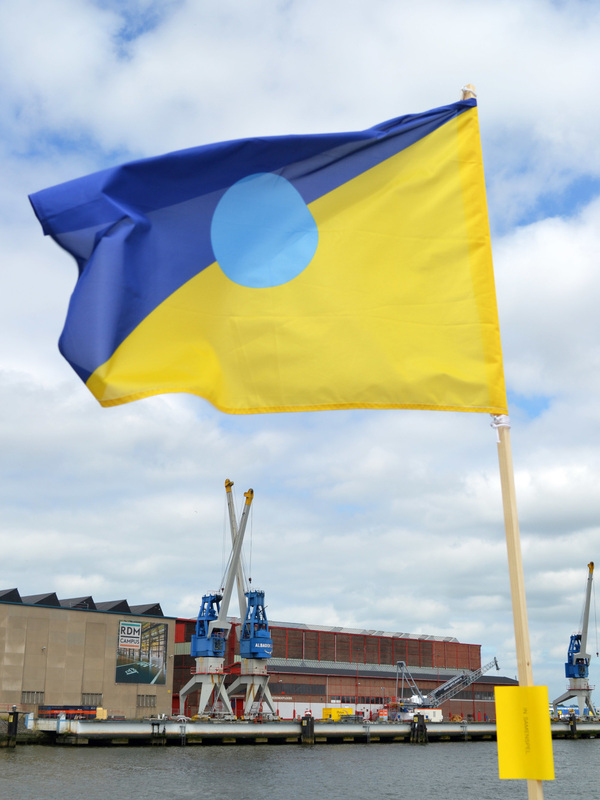 The RDM site now is hosting projects under the aegis of the Campus and the Submarine Wharf, which offer facilities for applied research, innovation, and experimentation. These enterprises attract visitors and users coming from outside the village of Heijplaat. These current recreational activities in the RDM area are not addressed to the residents any more; which cause a malfunction in the social structure and the connection among the inhabitants and their surrounding. I focused on the question: ”How to re-shape the connection between the RDM and the village? 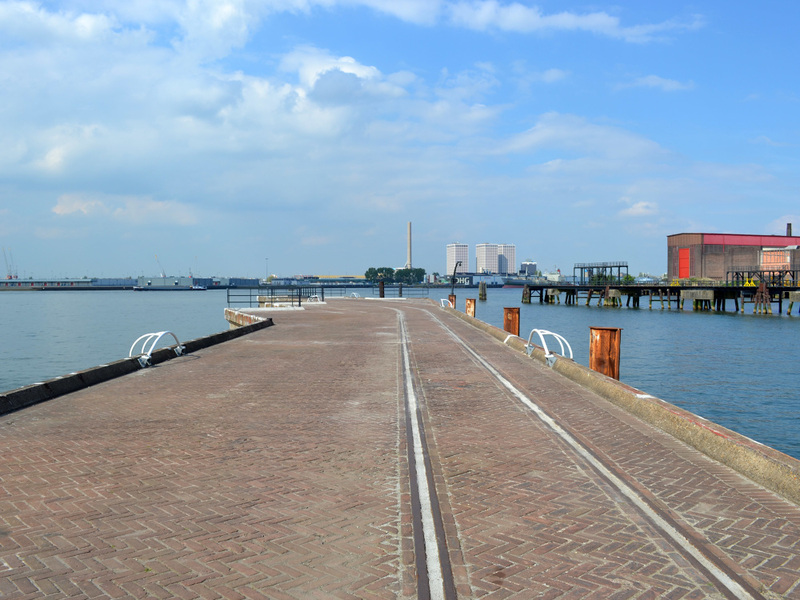 Can I design (the implementation of) a new function for the RDM re-attracting locals, visualy and actively?” The port of Rotterdam and the village started a three-year restructuring process from 2014, year of the celebration of the 100th anniversary of their establishment. 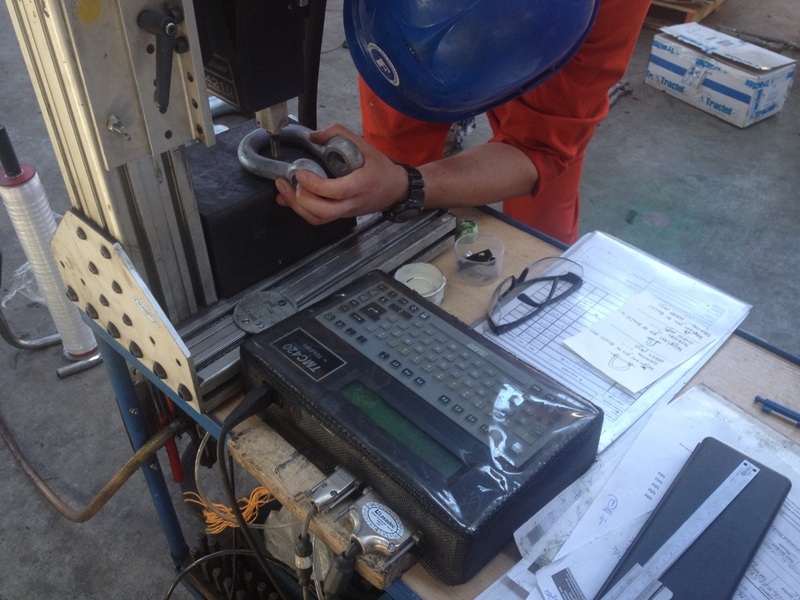 The project ‘Samenspel‘ develops within these years. The small village of Heijplaat is inhabited by a community which revolves around clubs and associations. 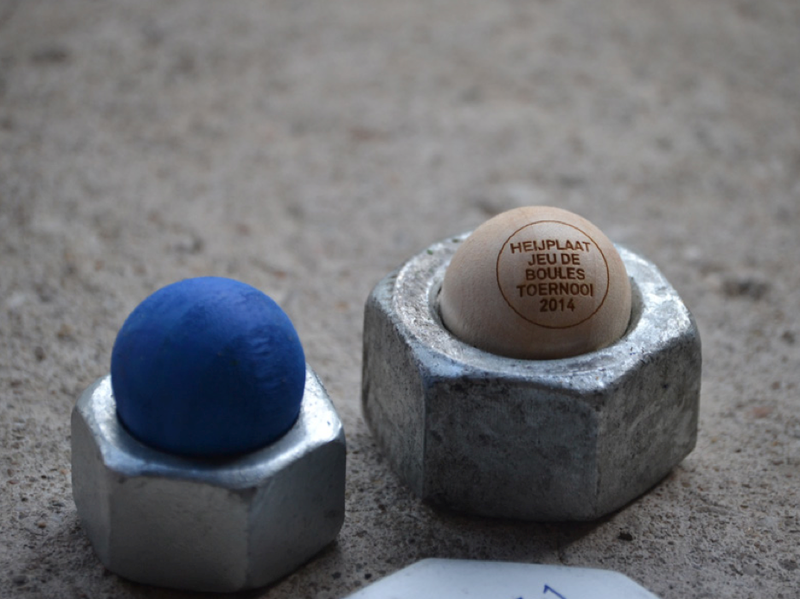 I joined a residents’ initiative which aimed at establishing a Jeu de Boules (Petanque) club. I planned to set up and design the club’s identity. 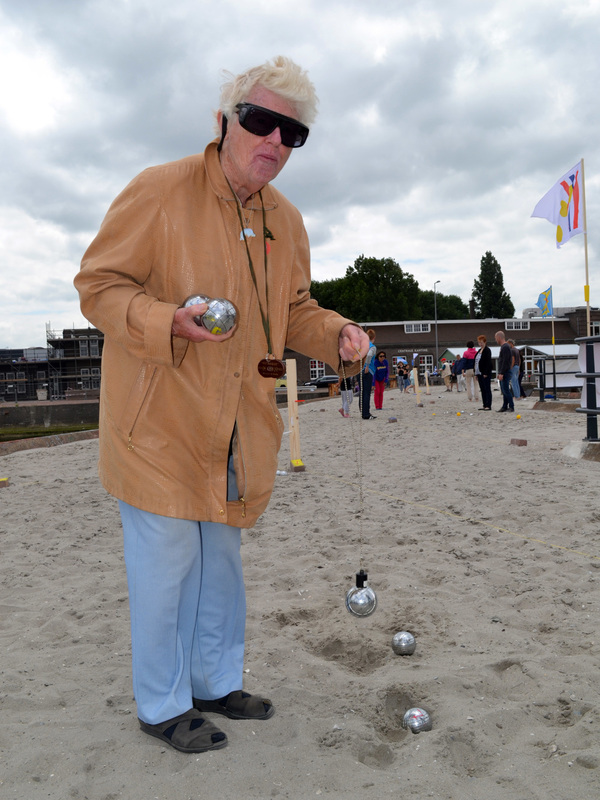 My activity and collaboration with the club, designed to function on the area for two years, resulted in June 15th 2014, in the first Heijplaat Jeu de Boules Tournament at pier 2602 at ‘the entrance side’ of the RDM. The Pier was recently re-opened after renovation, but lacked a specific function, it was underused. Because of this fact, and because the beautiful and robust image triggered me so much, I decided to claim that piece of public space in order to re-use it, as strong and exciting event location for a moment. 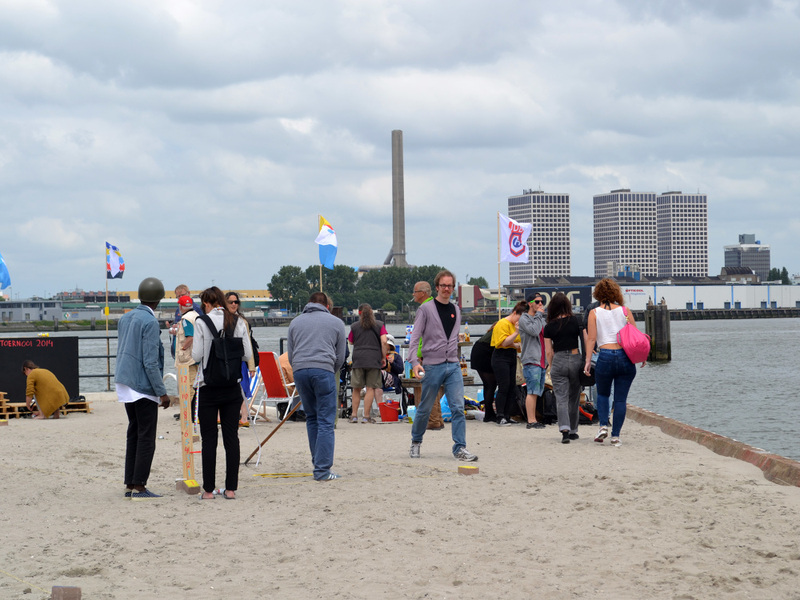 Surrounded by the sound of the Maas and the windy harbour we played the first Heijplaat Jeu de Boules Tournament with a mix of local residents from Heijplaat and visitors from other parts of Rotterdam. The ‘image’ of the day was on one hand formed by the scenery of the area itself and the participating teams. I curated and visually shaped these elements with the participation of many company’s within the RDM. ”This project started as part of my Minor program (Public and Private) and ‘ended up’ being part of her Graphic Design graduation project, at the Willem de Kooning Academy. 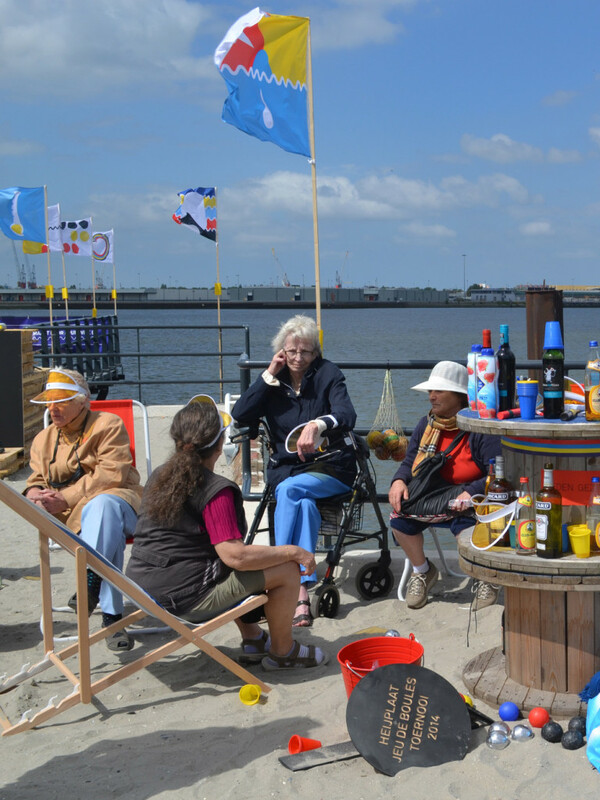 Samenspel was made possible by/many thanks to: City of Rotterdam Art and Culture, Van Es Zand & Gravel BV, Kruiswijk BV, Franklin Offshore, 100 jaar Heijplaat, Dokkaffee and all the participants. Thank you for sharing your project Janneke. It seems a great response to the traditional gentrification schemes applied to these types of environments, by giving a temporary use for something that is already ingrained within the community. I wonder, though, how do you think this action and event might connect to a larger agenda and impact the area in a positive way? I refer to another project that was posted in the platform (Some-where by Thomas Verbal), where the author says “the Some.where project intends to imply that the action of an ephemeral intervention in the street may be the preface to a longer lasting action, this time, in the inner privacy of people who observe or participate”. If well he does not go in deep detail of how this time-specific intervention might create a larger impact, there is a hint of it.